Our Team - Earl Grey Veterinary Services P.C.Ltd. 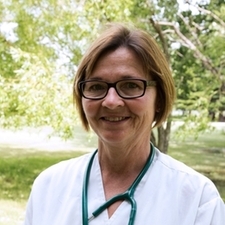 Deb graduated from WCVM in 1984, and came to work for a vet here in Earl Grey. In 1986 she purchased the clinic. Debbie and her husband, Kelly, have 3 children who have left the nest but are never too far away. However, with the kids gone, their house isn't empty yet! It is still full time home to their Golden Retriever, Keisha, and cat, Simba. In her spare time, Deb enjoys sports, fishing, and traveling during the cold Saskatchewan winters. 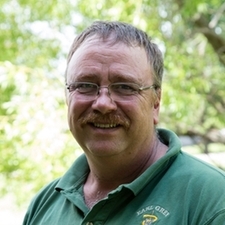 Born and raised on the family farm at Earl Grey, graduated from Earl Grey High school in 1981. Attended post secondary in Moose Jaw STI. Delivered farm fuel out of Southey for Petro Canada. Met Dr. Debbie in town one night, and the rest is history. Always helping out with everything at the clinic when needed from cutting grass to assisting with emergency surgery. You've probably talked to me on the phone before and if not I'll be happy to assist you. 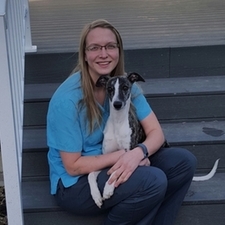 Michelle completed her Veterinary Technician course at SIAST in Saskatoon, graduating in 2011. She grew up on a mixed farm near Stenen, Saskatchewan and enjoys working with both large and small animals. In her spare time she enjoys doing outdoor activities with her husband Devon, daughter Olivia, and their whippet named Winston. She looks forward to seeing you and your crazy critters at the clinic. Stephanie grew up in Eston, a small town in Southern Saskatchewan. She moved to the Silton ares in August of 2017 with her husband Chris and two children Hutch and Hudson, They all enjoy fishing and boating, sledding, gardening, and just hanging out in their new yard. If you don't know what breed a Weimaraner is when you come in, they have one, he is 10 years old and their family pet. As well they have a couple of cats, Harry & Lloyd that add to the mix. 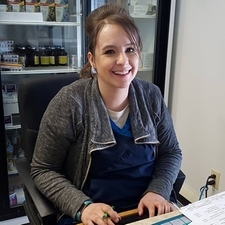 Deanna grew up on the family farm north of Southey, after graduating from Robert Southey School she attended and graduated from the the Veterinarian Technician Program in Estherville, Iowa. 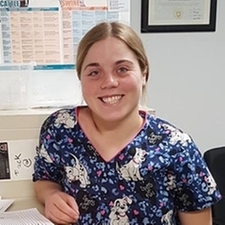 While she was there, she was not only busy with studying but being on the college softball team as well, setting new records in the books that may be there for years to come. In Deanna's free time she likes spending it outdoors and playing any sports in general.